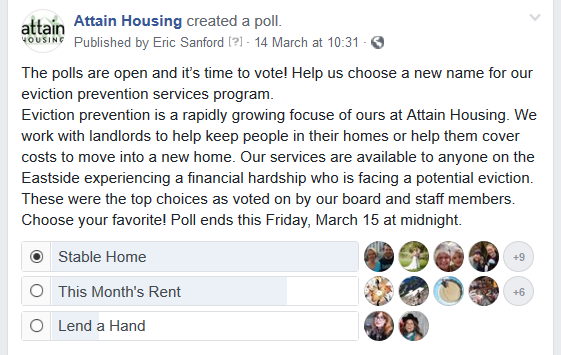 The people have spoken and our Welcome Home program will soon be known as “Stable Home.” The name was one of the top three choices as compiled and voted on by staff and board members. We decided to leave the final vote up to our followers on Facebook and Stable Home was the clear winner. Thank you to those who participated and as always, thank you to all our supporters and donors.